Today’s makeover package was donated by LongWinter Farm on Etsy…About me:: I’m a 28 year old mom of two living in coastal Maine, where I share my life with goats, kitties, puppies, and my favorite boy, Joe. We spend the thawed months off grid in a yurt in the woods, which is like having our own personal summer camp. We even take discovery hikes and have sing-alongs. I like to live the organic homegrown lifestyle as well as I can, so I’m way into gardening and herbalism. I’m also a major craft addict, playing with sewing, knitting, spinning, felt crafts, candle making, embroidery, and of course, soaping! Yup, I’m one busy chick. Nope, I don’t take naps. About Joe: Joe’s my very best friend, boyfriend, business partner, and yurtmate, and there’s a good 50-70% chance he’ll be the one packing your order. What’s he like? Well, he’s good at washing his hands, being pretty tall, having an Indiana twang, and randomly breaking into Rick Roll songs. 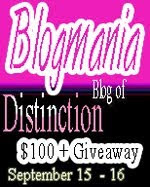 Contest ends August 21, 2010 and is open internationally! If Sage and Mage was a real-life shop, it would be a small, old house. You would release the smell of lemon thyme by treading up a soft, green path to the porch. The porch steps would creak, a raven would call, and the door would open, welcoming you. Light would stream in the windows, illuminating shelf upon shelf of tinctures, treasures, spell boxes and potions. Strange and wonderful herbs would hang in bunches from the ceiling. An all-natural, mostly organic blend to exfoliate and gently cleanse. 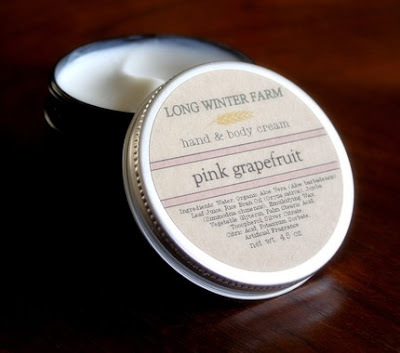 Suitable for most skin types, but especially formulated for normal and/or combination skins. 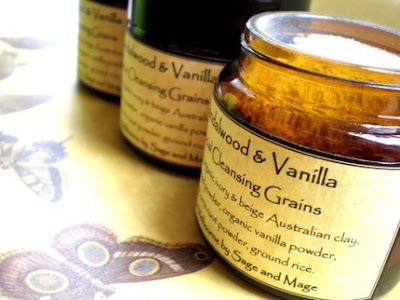 It smells heavenly – a deep, subtle blend of sweet organic vanilla beans and fresh sandalwood. Hello! I am Alice and this is my tiny shop. I am a wife, mother, sewer, doodler, gardener, painter, teacher and collector. I love simple lines and natural colors. Autumn days and camping nights. 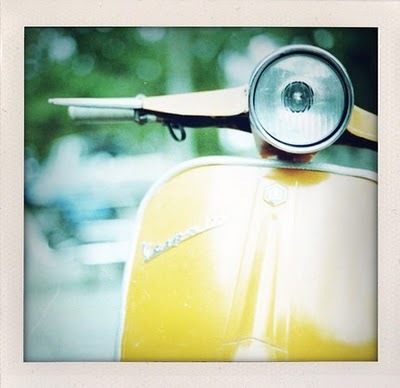 Vintage, well loved objects and good music. Walks in the woods and the smell of fresh bread in the oven. My faith and my family. My husband and I homeschool our six (yep, 6) kids and glean much inspiration for our learning and living from the natural world around us. Welcome! My great-great-grandmother was a wife, a mother, and a poet. Her name was Marie Louise Smith Edgar (1851-1946) and it is one of her handwritten poems that makes up the background of these little bookmarks. I have digitally collaged one of my watercolors over it (A multi-generational collaboration of sorts.) and added one of my favorite Einstein quotes. I have left the back blank for jotting down favorite pages and passages. A set of six, professionally printed, “Noteworthy Bookmarks” comes packaged in a clear cello sleeve. 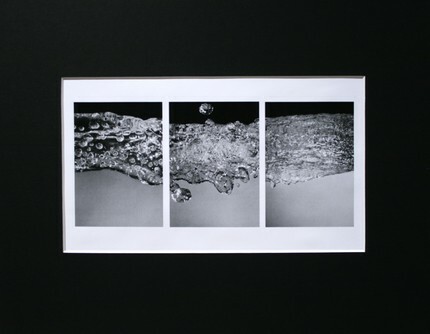 At 2″ x 6″, they are just the right size for tucking into your correspondence or gifts. 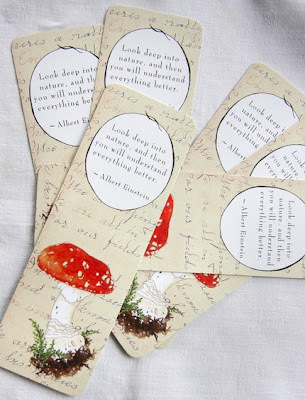 Alice has donated THREE packs of bookmarks to our blog readers. Today’s ETSY giveaway goes with the newly released book LINGER and was donated by TinyTreeBoutique! I live in Las Vegas, NV with my wonderful supporting husband & my two adorable cocker spaniel doggies. 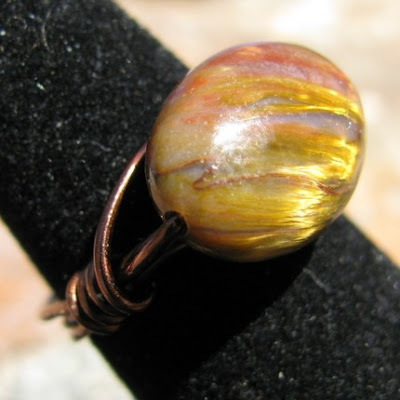 I have always made handmade things since I could remember. I remember when I was about 4 years old, my mom would get craft kits in the mail every month & I would help her with them. She was always making handmade things, even sold custom knitted sweaters at one time. She mostly knit & crocheted, but always did something. I have always treasured things handmade & love giving & receiving them, I just think that something handmade is so precious. And now I am lucky enough to be able to stay at home & make things for people to buy here on Etsy. It is so rewarding to know that people all over the world might be wearing something I made. The Scrabble Tiles I use Are All Recycled From Found Retired Scrabble Games. Tiles are 18mmx20mm. Tiles are sealed with a thick coat of jewelry grade resin & a sterling silver plated bail is attached for hanging a chain or cord. 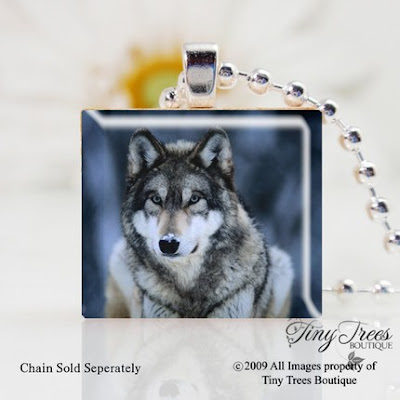 I have a wonderful selection of chains & cords of all kinds available in my shop that look great with these. Scrabble tiles are water resistant, but not waterproof. I do not suggest wearing them while bathing or swimming. Like all small objects, please do not let small children play with them as they could cause choking. All of my designs are copyright protected. Images appear larger in photo than they actually are. and Jen from LateBloomer who won a Galley Copy of “My Blood Approves” by Amanda Hocking. Email us your mailing address and keep on checking back for lots of giveaways. Tomorrow our SEA jewelry contest ends. Enter on the right sidebar! 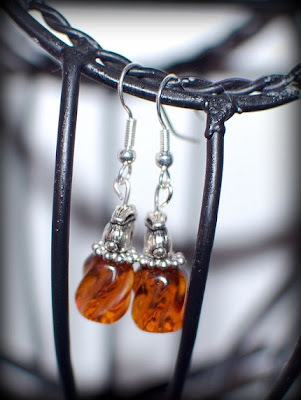 Heather’s photographs and handcrafted items have been featured in several Etsy treasuries this month. Wow! Thanks so much to the crafters for choosing us! 40 % of our sales go to families in Chile who are recovering from earthquakes. Once you read “13 To Life” By Shannon Delany you’ll see how central the matyroshka doll is in the plot. We found a little plushie one and in connection with Etsy shop Micasita House she can be all yours! A bit about my shop… Micasita house™ is Rosy Palma, a design artist who have a great inspiration to create one-of-a-kind, uniquely handproduced items,with great care and special details. 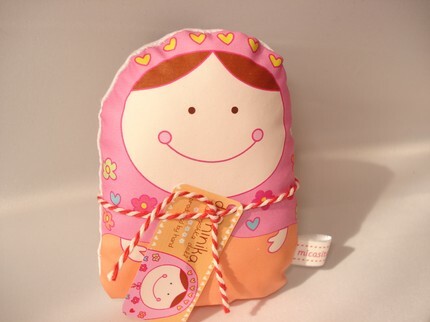 Carminitas™ (matryoshka’s russian dolls)are an original design, uniquely handcraft with lots of love and attention to detail. please visit my website at www.micasitahouse.com or simply send me an email if you are interested to adopt any of my handmade dolls,if you have any questions or just want to say hello, I would love to hear from you. We are a small crew of artists out of Seattle. We love tinkering with different clothes and stones and creating the very best stuff we can dream up. My name is Marisa, I run our Etsy site and am sort of a ring leader of the Guild. I’m so excited to be get to have my hats up with all this awesome stuff on Etsy! 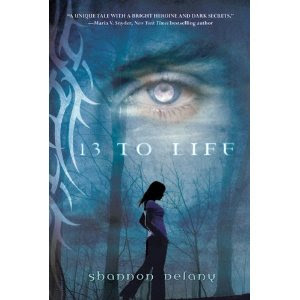 Be sure to check out our “13 to Life” inspired items on ETSY made in collaboration with author Shannon Delany. http://www.etsy.com/shop/LittleRedReads?section_id=7026193 50% of all sales go to Chile earthquake relief efforts! Happy Birthday! !